Undeniably, one of the most influential educators to my inquiry practice is Kath Murdoch. Her work simultaneously affirms and stretches my thinking around how we can harness the curiosities and wonders of our learners and leverage these into powerfully authentic and meaningful experiences in our classrooms. I am honoured that Kath has lent her voice to Inquiry Mindset. Her foreword sets the stage for the work and draws attention to the role of teacher as inquirer, one that questions, models, and explores together in inquiry with their students. Today I am thrilled to share some exclusive content from the book with you here on the blog. 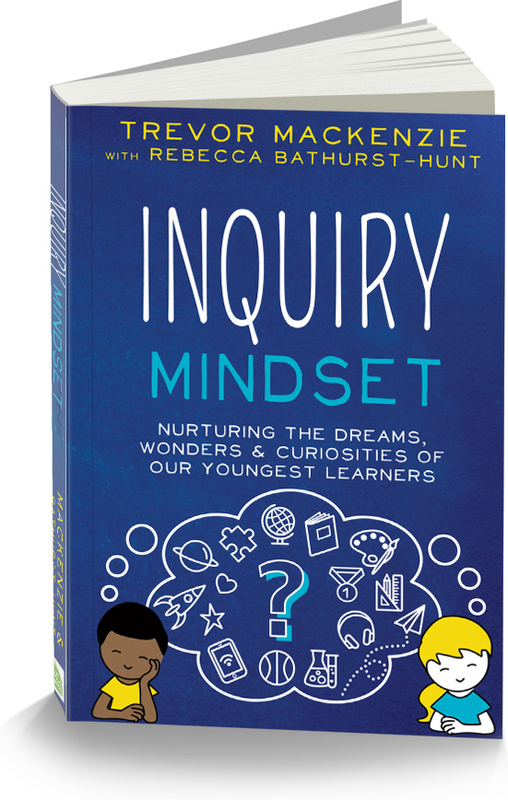 Have a read of Kath's foreword and cue the excitement for the release of Inquiry Mindset. The publication of Carol Dweck’s phenomenal book Mindset not only helped challenge and deepen our understanding of the nature of learning but also contributed a powerful term to the contemporary lexicon of teaching. We are now so much more aware of the impact of the mindset we bring to the classroom. The assumptions and beliefs we have about our roles, about the purpose of school, about students, and about learning itself determine what we do and say. Our mindset matters. In turn, what we do and say has a significant impact on the mindsets of our students. Amongst other things, our design of classroom spaces, the kinds of questions we ask, the degree of choice and voice we afford our learners, the nature of our collaboration with other teachers, and our use of digital tools combine to influence the way our students see learning and see themselves as learners. For more than thirty years, I have advocated the use of an inquiry approach to learning. The contemporary work in this field stands on the shoulders of giants. From Socrates to the seminal work of Dewey, Bruner, Vygotsky, Freire, and others who challenged notions of the learner as a passive recipient of information instead describing learning as an active process of construction by the learner. In essence, inquiry is the manifestation of this constructivist view. It has a long and rich history and many champions, but the challenge remains in many schools to shift mindsets and to prize away the vice-like grip of conservative perceptions of what it means to teach and learn. Through years of work in classrooms, I have come to understand that which now seems blindingly obvious. For students to truly inquire with depth, tenacity, and joy—they need teachers who, themselves, are inquirers. They need teachers who bring an inquiry mindset to the classroom. It is abundantly clear from reading this book (and its predecessor Dive into Inquiry) that Trevor MacKenzie is one such teacher—a teacher who is passionate about giving students every opportunity to follow their passions and to develop the skills and dispositions so important to a rapidly changing landscape of both learning and living. Rethinking our work as teachers takes time and effort. The simple, accessible guidance that this book contains provides the kind of practical support needed for teachers to make change. The enthusiasm Trevor and his coauthor, Rebecca Bathurst-Hunt have for their subject bounces off the pages, particularly in the sharing of their own experiences or through the many delightful vignettes of teachers implementing aspects of the approach. These examples are real, rich, and relatable. Fresh ways of interpreting and describing what it means to be an inquiry teacher, how to structure an inquiry journey, how to help kids follow their passions, and the role of the teacher librarian in an inquiry context make Inquiry Mindset an engaging read and a welcome addition to the field. Trevor and Rebecca are careful to reiterate what has long been understood about effective inquiry: that it doesn’t just happen—it requires careful thought, planning, and scaffolding by both teachers and learners. This book opens with a personal reflection on the insights Trevor gained watching his first child grow. Like so many parents, he longs for an educational experience that will truly value the unique “characteristics, needs, and interests” of his son. 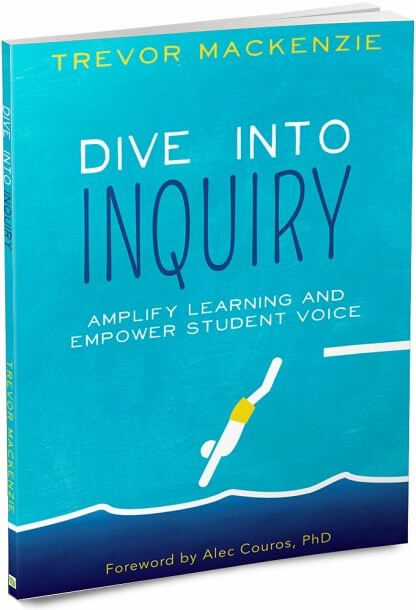 By making their own experience with inquiry available to other teachers through this book, Trevor and Rebecca have gone a long way to honouring that principle. Reading through these pages is indeed heartening. The inquiry work pioneered so long ago remains in good hands as a new generation of educators discovers the power of an approach that truly places the learner at the centre.